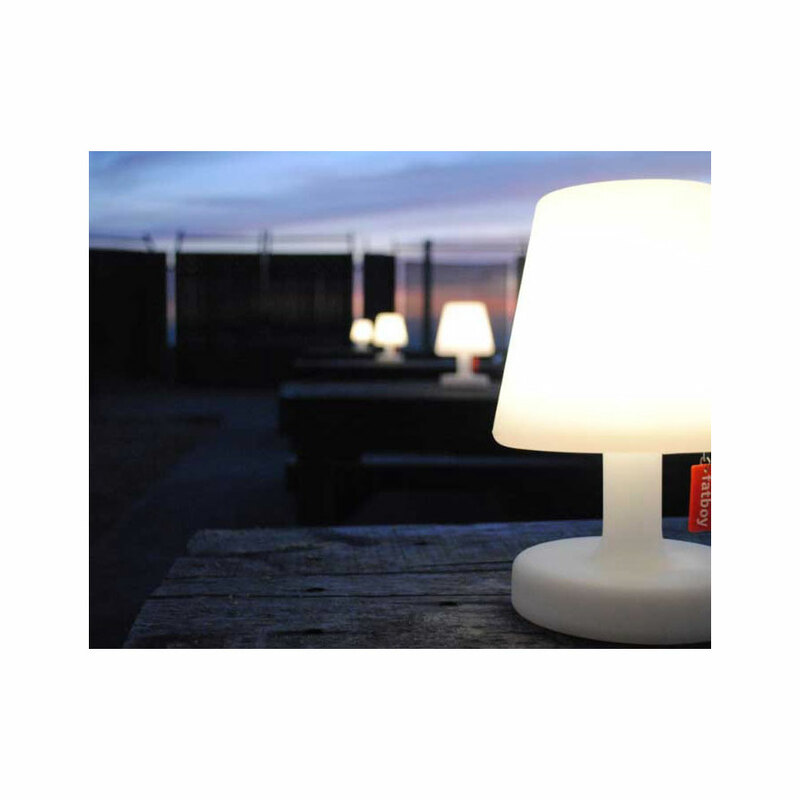 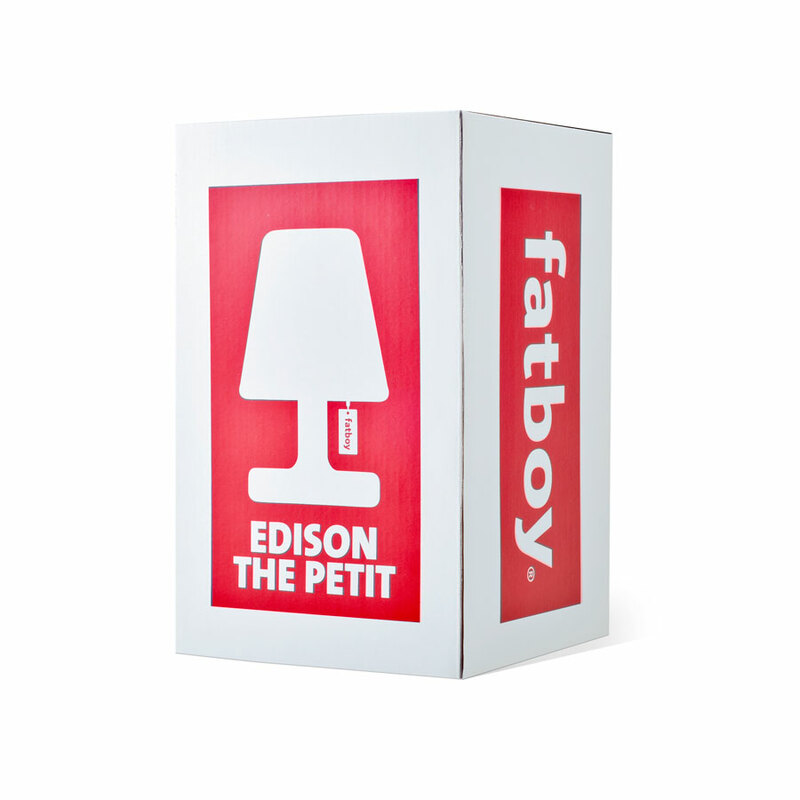 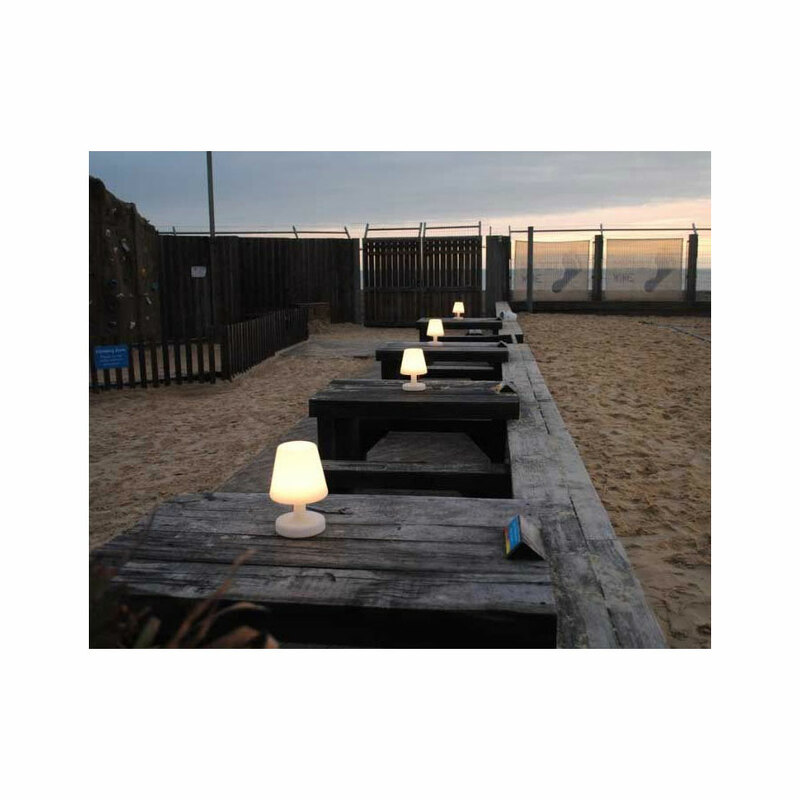 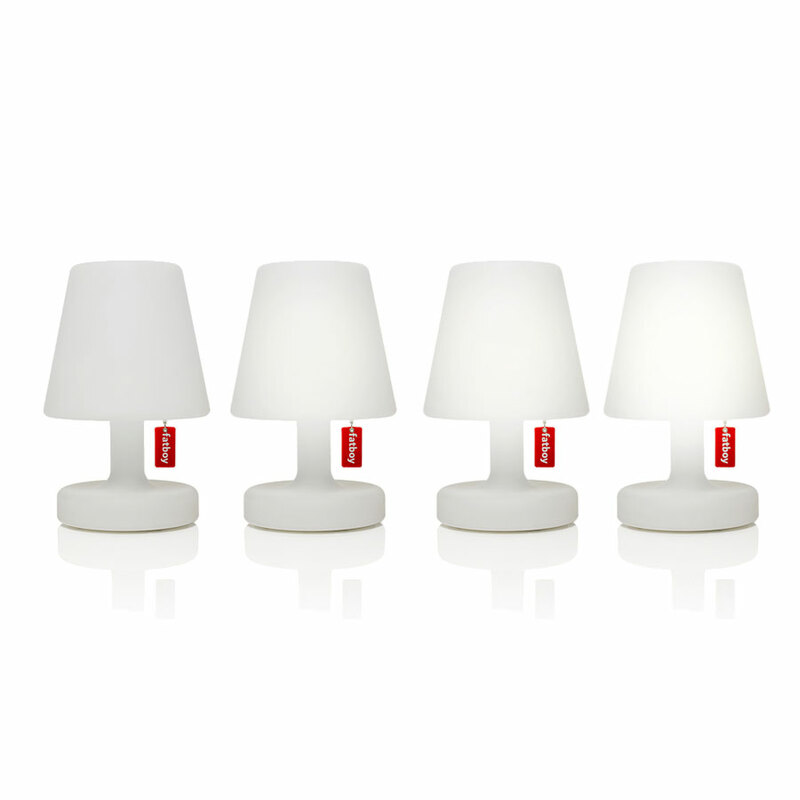 This Design Lamp from Fatboy called "Edison The Petit" will be a real joy receiving it because it doesn't shine too hard and watching it by night gives you a nice and comfortable feeling. 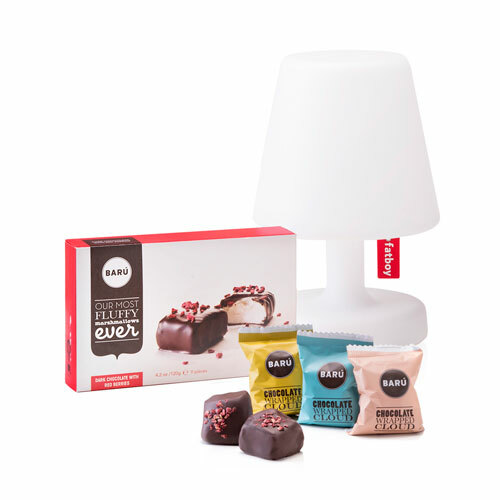 This experience will be even more worth it when the person you want to give the gift to will notice that we've added one of the most Fluffy Marshmallows ever created by the Belgian chocolatier Barù. 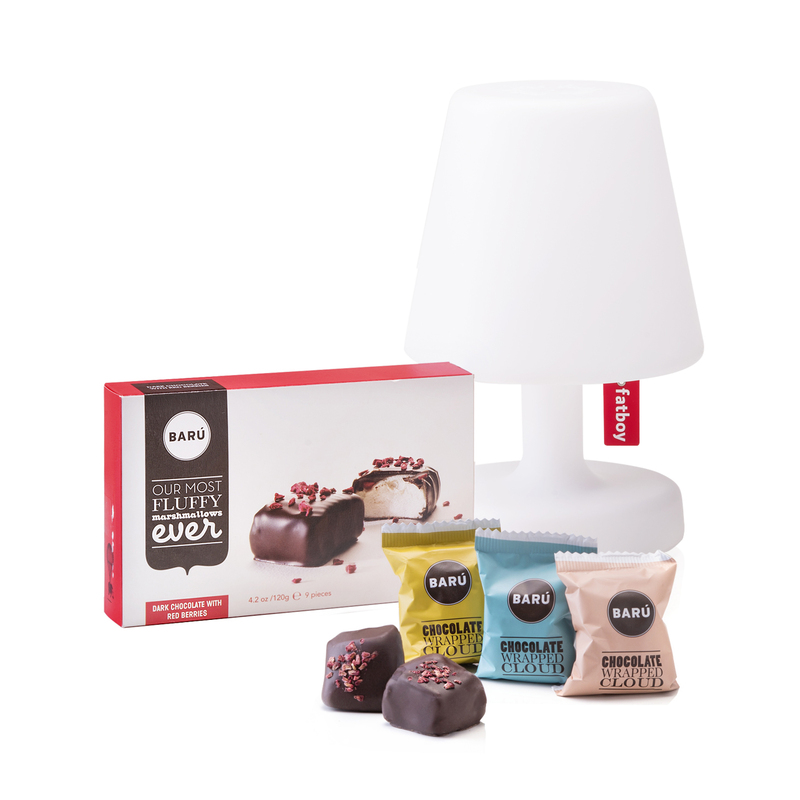 A gift with a heart for Design and Taste!